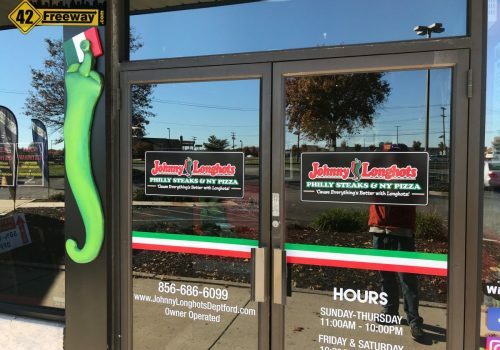 Johnny Longhots featuring NY Style Pizza and Philly Cheesesteaks will soon be opening in Deptford NJ, in the location where the beloved Cugini Pizza was located. The strip center shopping area is the one sitting at an angle, on the corner of Clements Bridge Road and Almonesson Rd… facing the Mall. 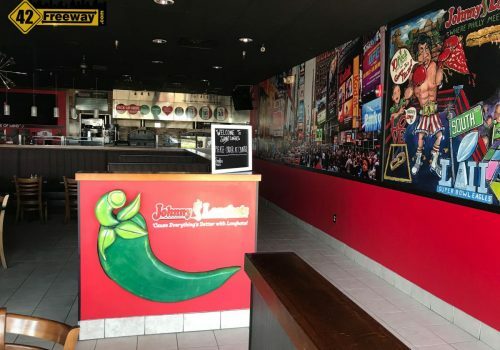 While we haven’t spoke to the owners, we found another location in Marlton NJ. 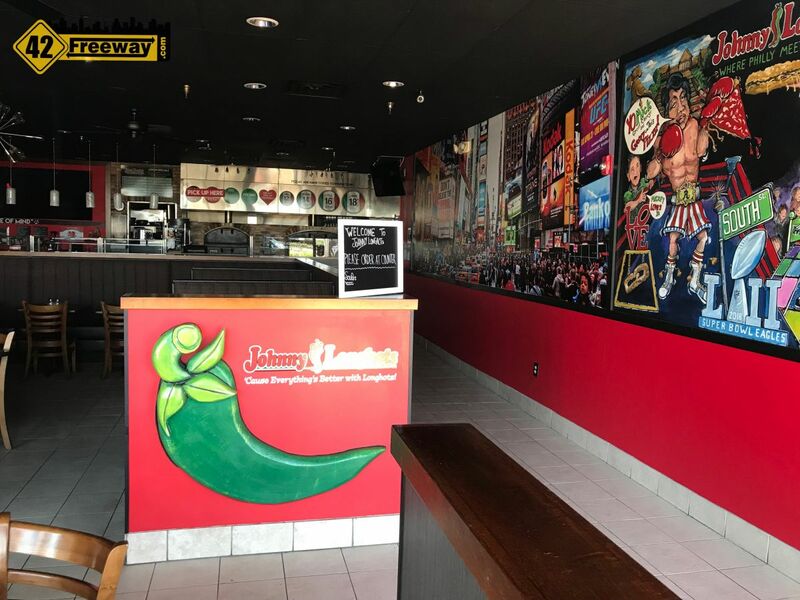 The Marlton store menu features Pizzas, Cheesesteaks, Pasta dishes and gyros… so its probably safe to expect a similar experience and “Opening soon” Deptford location. 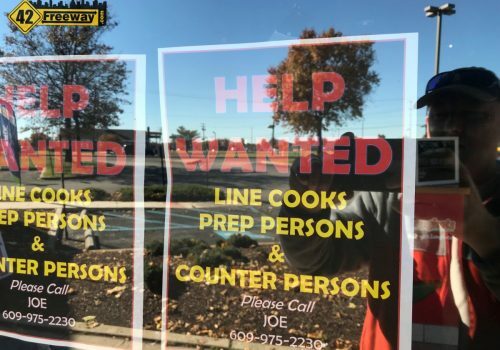 When 42Freeway stopped over today the store was not open for business yet, but they updated the signage on the glass, changed the decor inside, and have a Help Wanted sign on the window in preparation for their opening. 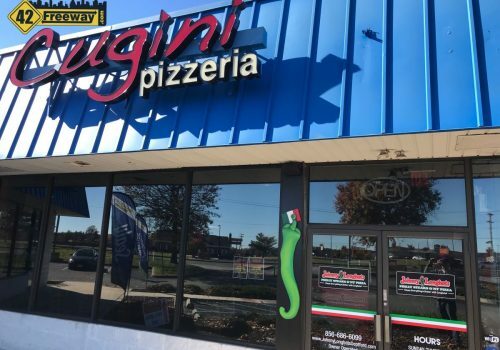 The large overhead Cugini sign is still on store, and one can assume it will be switched out soon. 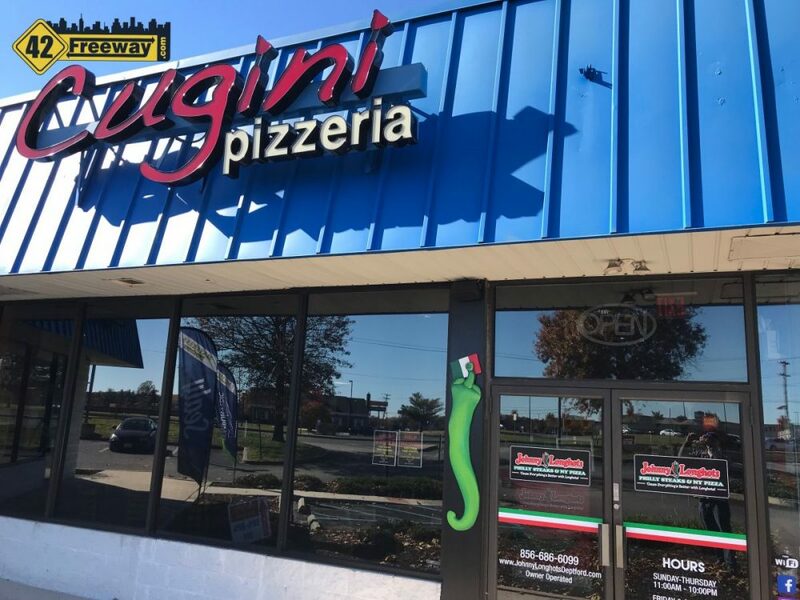 Cugini Pizza closed on April of this year with a Facebook post saying “Forced to close” with no other indication as to why. 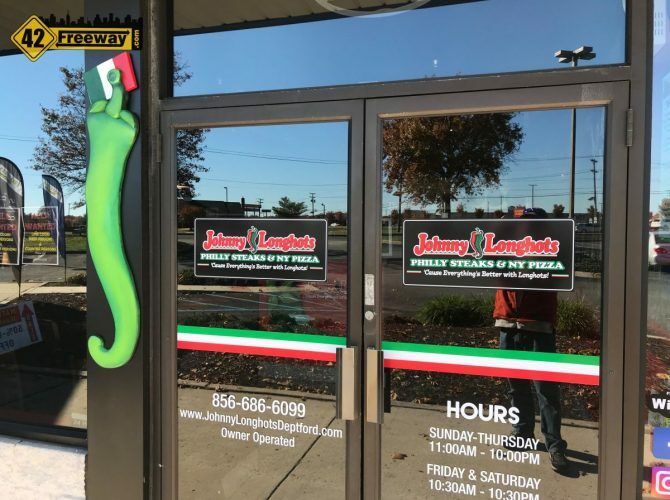 Facebook comments and reviews indicate Cugini’s was well loved in the area… and we are all excited to see Johnny Longhots carry on the high quality offerings! The Bellmawr Missing Moves road project is a large $160 Million project slated to start late in 2019. 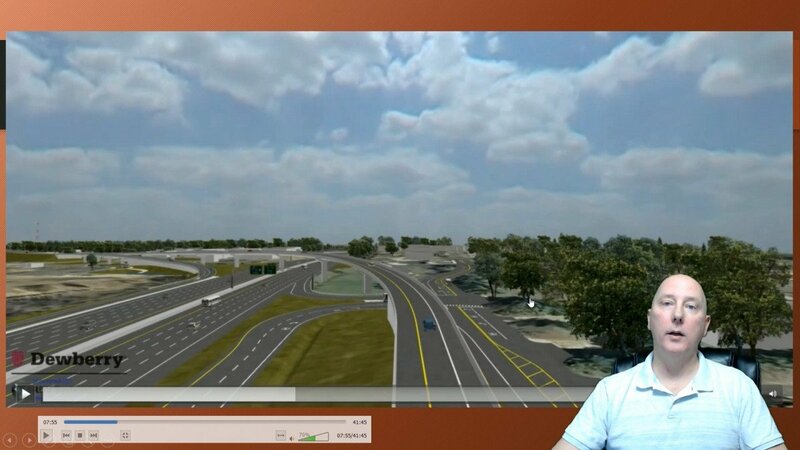 This is primarily a LONG video three in segments: Missing Moves, Bellmawr Landfill Development, and Direct Connection Video Update. 42 mins long! 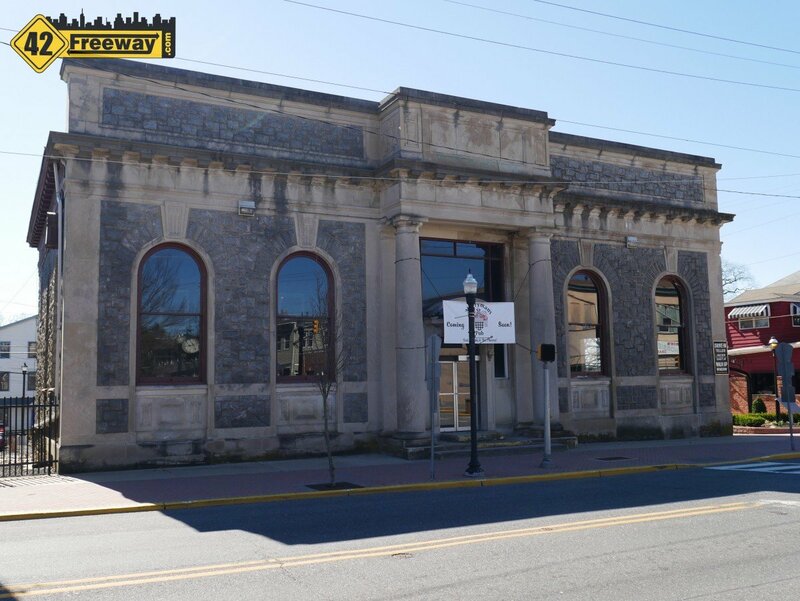 Pitman's downtown will get another boost later this year when Merryman's Pub sets up shop in the 112 year old Pitman National Bank building on Broadway. 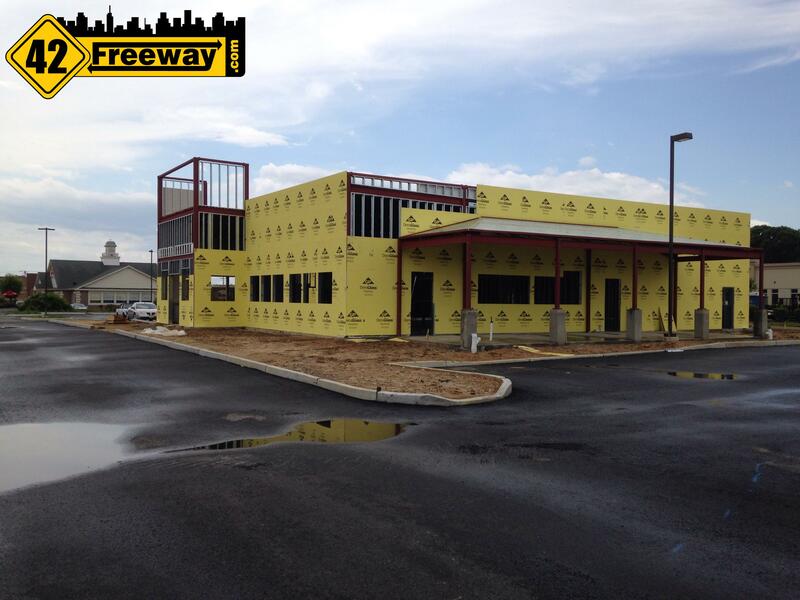 The building has been empty for years, has been completely gutted, and will require a full interior rebuild. As one would expect from a Pub they will have a full bar in a slightly unique licensing arrangement. 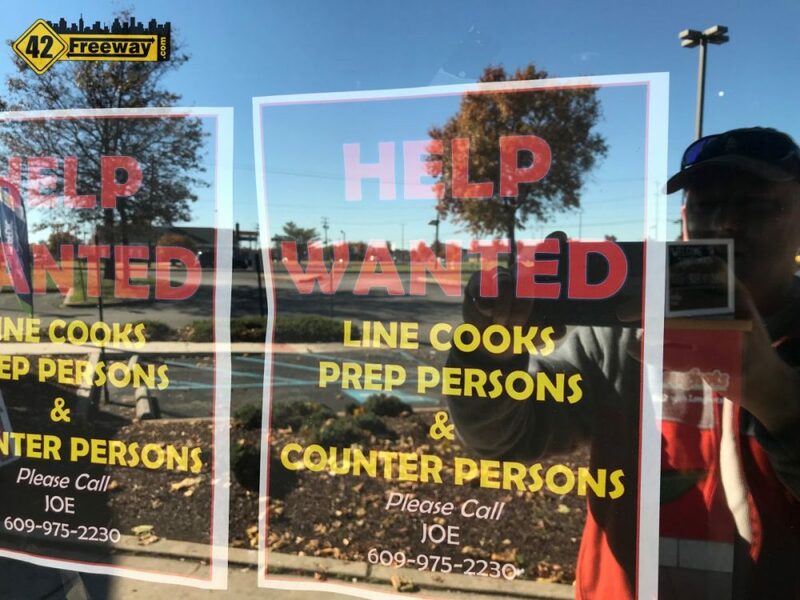 After what appeared to be a slow start through last winter, construction on the Tilted Kilt Sicklerville has really ramped up. Click article link for more pics.